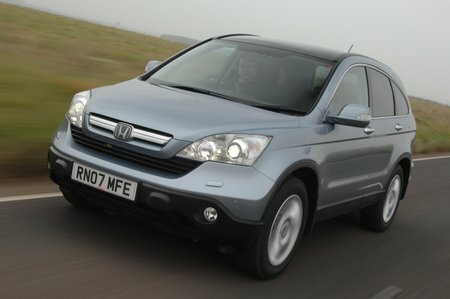 Used Honda CR-V Review - 2006-2012 | What Car? What's the used Honda CR-V estate like? What really makes the 2007 Honda CR-V stand out, apart from its rather odd styling, is the way it prioritises the 'Utility' part of 'SUV'. It is one of the roomiest and most practical cars in its class, actually outdoing several more modern competitors when it comes to passenger and boot space. The rear cabin is even just about wide enough to accommodate three child seats abreast. The driving experience is generally good, too, with well-weighted steering, accurate handling and a comfortable ride over poor surfaces.